Celebrity singer Rihanna has seven fragrances linked to her name. What do Beyonce, Bruce Willis and Snooki have in common? They're all celebrities who have launched their own fragrances. More stars have jumped on the perfume bandwagon, but companies in the $46 billion industry have reported a sharp fall in sales in this segment. Euromonitor estimates celebrity fragrances now account for just 4% of the U.S. market, down from 12% in 2012. 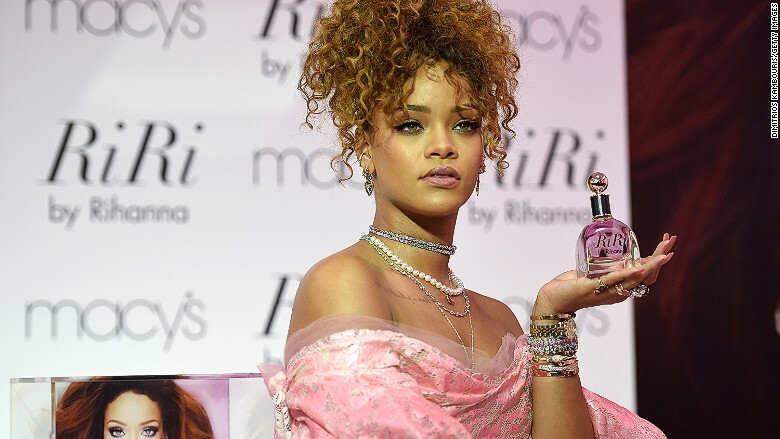 "Most companies say their [celebrity fragrance] sales have been declining year on year," said Nicholas Micallef, a beauty and personal care analyst at Euromonitor. 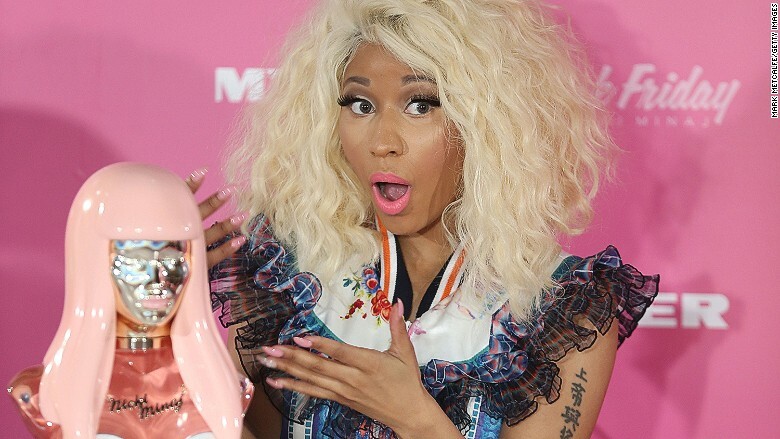 Nicki Minaj's perfume, Pink Friday, was created in partnership with Elizabeth Arden. Beauty brand Elizabeth Arden (RDEN) -- which sells fragrances from Justin Bieber and Taylor Swift -- has blamed a slump in perfume sales on its celebrity brands. Cosmetics house Coty (COTY) has also been reporting for months that overall fragrance sales have been pulled down by the weak performance of its celebrity scents. 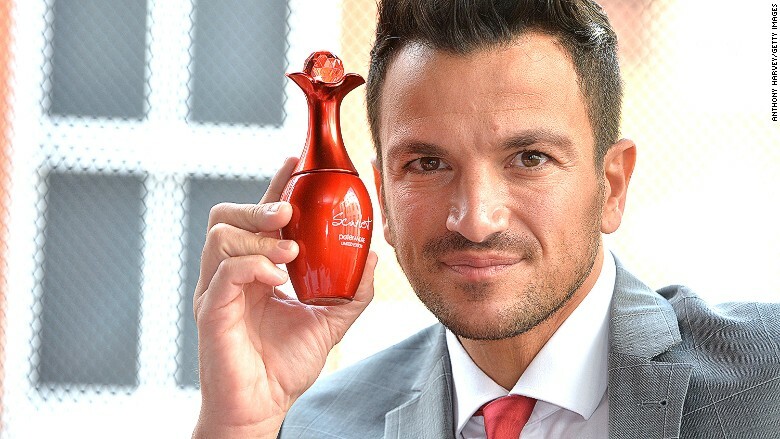 Pop star Peter Andre has launched a number of fragrances. Experts say many factors have led to the downturn, including saturation in the market. For example, Jennifer Lopez has launched 24 perfumes since her inaugural Glow in 2002; Rihanna has seven fragrances to her name. "The turnover is extremely high, you're basically grooming a lack of loyalty," said Marian Bendeth, a fragrance expert and owner of consultancy Sixth Scents. "In some regards, it's disrespect for an art form." As a result, buyers have lost interest in celebrity endorsements. In the U.S. in particular, "celebrities are not as influential as they used to be," noted Micalleff. Companies that license stars' names also have little control over their image and career paths, which can be a big business risk. Coty has told investors it can't guarantee that celebrity "licensors" will maintain their status with consumers, which could hurt the company's sales.